Huge, three gallon (18 Lbs.) seed capacity. This Bird Feeder requires only weekly filling. A vented reservoir eliminates condensation and moldy seed in the hopper. Powder coated aluminum reservoir and base. 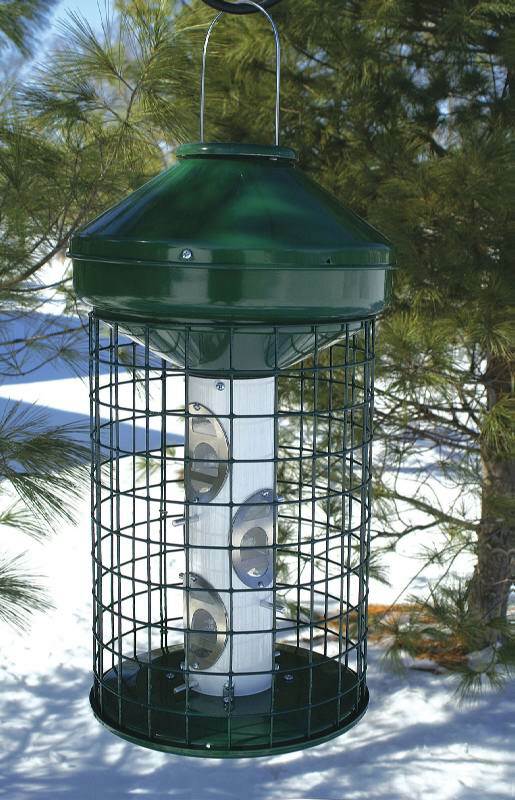 Vinyl coated wire cage stops pesky squirrels from raiding your feeder. Only small songbirds have access to seed. Excludes pesty larger starlings, grackles and jays. You can go on vacation and not worry about whether your birds have bird food with this large capacity bird feeder.